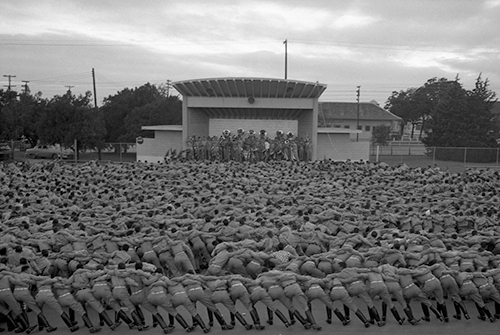 During the 1940s and 50s, the 12th Man packed the Grove amphitheater for Yell Practices until they moved to Kyle Field in 1960. From its construction in 1942 through the 1970s, the Grove was the place to be on summer nights in Aggieland. Before the late 1980s, the amphitheater—nestled between a group of oak trees where Cain Garage presently sits—was a campus mecca for Aggies to watch movies, attend concerts, have a date, or play a pick-up game of basketball or baseball. 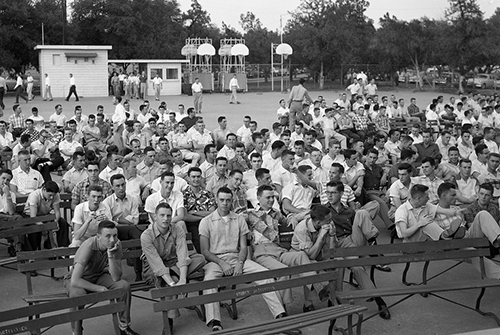 Known as the “concrete slab at A&M College” after its initial construction, by 1945 the Grove offered students and community members a different activity each night of the week. Mondays were designated for dancing and roller skating. On Tuesdays and Thursdays, people could catch the latest movie. Wednesdays were reserved for special entertainers. Fridays and Saturdays hosted live music for dancing, and when Sunday rolled around, Grove-goers were roller skating once again while their favorite tunes played in the background. By 1949, the Grove’s popularity had grown so much that the university decided to double the size of its dance floor and add a band shell for performances. On the cinder block stage, Aggies saw the likes of Bear Bryant and entertainers such as Bob Hope. 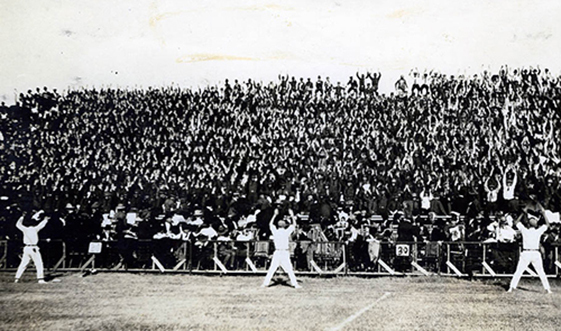 During the 1940s and '50s, the 12th Man packed the amphitheater for Yell Practices until they moved to Kyle Field in 1960. Sven Knudson ’78, a student manager at the Grove, recalled playing an eclectic mix of films at the venue. “I remember that 1976 was the first year we charged people who came to the shows,” he said. “I think the cost was about a quarter or so, and we played all kinds of films, from old classics and comedies to science fiction and recent movies.” Renditions of “The Rocky Horror Picture Show” were particularly popular over the years. The proposed design for the new Grove features seating and a stage for films and performances. Surrounded by trees and offering a place to gather for all kinds of celebrations and social events, the new Grove will uphold its namesake and carry on the legacy of the old Aggie stomping ground. Share your memories of the Grove with us at info@txamfoundation.com. 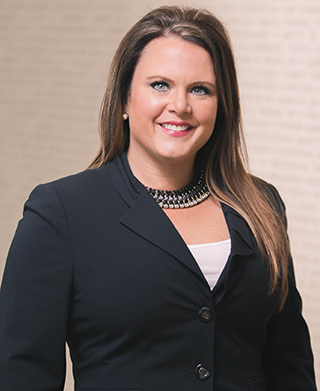 To support construction of the new Grove at The Gardens, contact Kelsey Christian below. 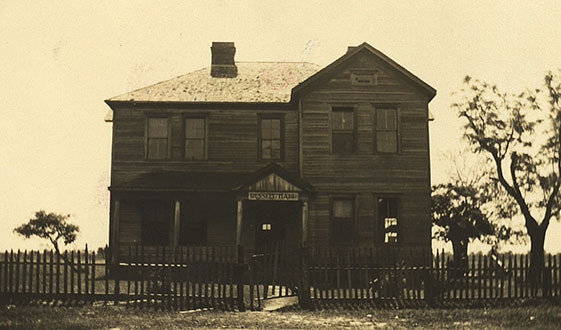 Texas A&M’s response to a student housing shortage in the 1930s. 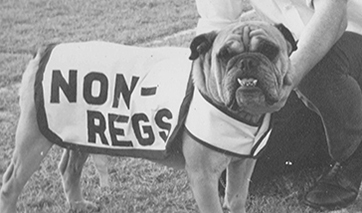 A compilation of facts about Texas A&M’s Yell Leaders, one of the most unique traditions in college athletics.